Who says what: Why are the players not resting? The women have been done for three weeks now and many of them are itching to play again. But, hold on, the 2015 won’t start until January 3, so relax a little bit, enjoy it and make sure that your body feels very good. Why? Because we have met so many people who over trained in December and, by the time they are in Australia, they are already hurt and that is not good, not good at all when there is now long rests from January through October. Yes, the new International Premier Tennis League (IPTL) this weekend looks very impressive. A number of excellent stars such as Maria Sharapova, Jo Tsonga, Tomas Berdych, Andy Murray, Ana Ivanovic and Sania Mirza and more are playing. We say: Good for you to the Manila fans who went out to watch some of the best players for the first time on the Philippines courts. But what we do know is that the top players are paid big dollars and what we do not know if whether the owners can make enough money this week to repeat in 2015. Perhaps they will, but the top players will usually try it once, but then skip it the next time unless they are competing for points. They don’t know if the tours will recognize the league and the player may never receive the points. Unless it matters a great deal, the major players will skip it and then the owner will have to convince the fans that they should come out and follow the second tier. Maybe they will, but it is rare. Where does Federer go next? One week before the Davis Cup final between the Swiss and France, Roger Federer somehow managed to play even though he was hurt on Saturday against Stan Wawrinka in the ATP Finals semifinal. He won a classic over his buddy, Stan, but then his back was very sore, making him pull out vs. Novak Djokovic, and the Serbian won the year-end prize. No one knew whether Federer would be able to play on Friday against France, but some how, some way he got out there. Even though he lost that day against the high-flying Gael Monfils, he still showed up. Just seeing the Swiss team watch Federer trying even though he was stiff, they grew more inspired and they were ready to take down anyone who was in their path. Wawrinka played terrific crunching Jo-Wilfried, the pair of Federer/Wawrinka in doubles were out of this world, wasting Richard Gasquet/Julie Benneteau on Saturday, and when Tsonga got hurt again and couldn’t play, Federer was there, feeling healthier and ready to rock and roll. He blew apart Gasquet and the Swiss won for the first time ever in Davis Cup, shutting them down 3-1. They smiled all day and all night long. So now Federer has won just about everything. He has won 17 Grand Slams, all four majors, Master Series crowns all over the place, 82 titles overall, and about to go over 1000 career records in Australia in January. Really, there is nothing to gain any more, except perhaps the 2016 Olympic. He and Stan won in the doubles in 2008 Beijing, but Roger hasn’t won the singles there. And yes, he fell to Andy Murray in the 2012 London – and that hurt – but it is not as important of the Slams, or really, not even as important as the Davis Cup, at least for me. The Davis Cup is different, because there are national teams which have to work with each other. It is not just one person winning by himself. This time, Federer and Wawrinka worked with each other and it paid off, as they were hurting or tired or not playing great. They just kept going at it. He will never forget that; neither will Stan. Essentially, it is pretty clear that Federer is considered The GOAT, the Greatest of All Time Perhaps, but the one thing we do now is that there is one man who is nipping at the heels of the GOAT. That man is Rafael Nadal, owning 14 Grand Slams, and who has won a huge amount of Masters Series, has won Davis Cups, and who won the Olympics gold in 2008 in singles. 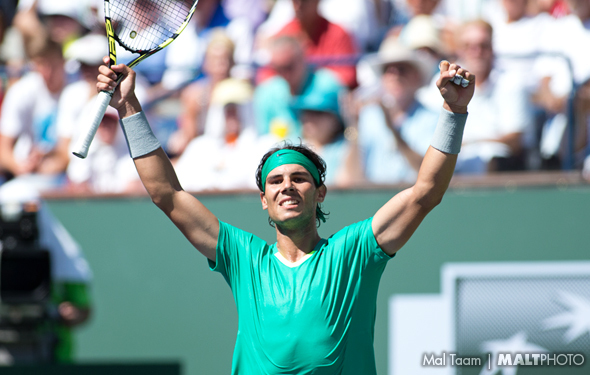 Will Nadal actually win four more Slams and pass Federer to reach 18 majors? I doubt it given that Nadal is constantly hurt again and missed much of this season after June. But what we do now is that Nadal is 23-10 over Federer in head to head and that is huge. What we don’t know, but will find out, which one will wins in 2015. But what we did find out last week is that Federer rose up and pocketed a very necessary win to help grab the Davis Cup for the Swiss. Now we know that Federer is battling again. But, considering the Federer vs. Nadal rivalry, we almost have a brand new world. The Davis Cup … finally in the Swiss trophy case. LILLE, FRANCE – And so the fairy tale has come true. The final missing piece from Roger Federer’s trophy cabinet, the one that seemed so out of his reach largely through his own neglect, has finally been captured. The great man has a Davis Cup title, after he rubbed Richard Gasquet’s nose in the red dirt of Lille to give Switzerland it’s first ever team title. The Swiss may be a two-man team of Federer and the Australian Open champion Stan Wawrinka, but they were the better team this weekend. Although the French organised this final superbly, the one missing element was a happy camp in the home locker room. What exactly happened to Jo-Wilfried Tsonga in the course of the weekend is still unclear, but whether it’s an injury or a loss of confidence, the French were left clutching at straws when they entered the final day needing to beat an essentially fit Federer in the first of Sunday’s matches. The job was given to Richard Gasquet, who has twice beaten Federer on clay but whose confidence is not exactly high. The French part of the world-record 27,448 crowd did what it could for him. They tried their hardest to hate Federer for the day, but found how difficult it was. They booed Federer’s practice shots, and when Gasquet walked into the arena to a massive fanfare with lights, music and cheers from over 20,000 French mouths, he was walking into a theatre from which he could emerge triumphant. Changes may be on the way for the Davis Cup, but it would be a real loss if atmospheres like this generated by a stunningly colourful home-and-away tableau were to be lost, as would happen in an all-teams-in-one-place format. It’s easy to forget this was a golden opportunity for Gasquet as well as Federer. At nine he was on the front of France’s leading tennis magazine as the future of French tennis, and at 16 he was heralded as a prodigy for winning a round at a Masters-1000 tournament. 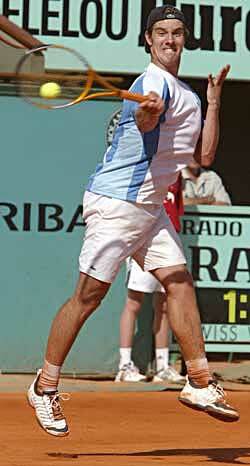 Yet another 16-year-old called Rafael Nadal soon eclipsed him, and he has struggled to find the limelight since. This was his moment, but he never looked as if he believed he could seize it. As he walked down the stairs onto the court, his face betrayed the signs of someone who was petrified, and despite a wag in the crowd having shouted during Saturday’s doubles “Lift up your head, Richard,” he walked onto the court with his chin drooped and his shoulders hunched. A good start would have told Federer he had a fight on his hands, but the match was effectively decided in the third game. Gasquet led 30-0, but Federer came back at him. At deuce Federer played the kind of point he would never have played before teaming up with Stefan Edberg. He hit a backhand slightly off the frame, realised late how good it was, ghosted into the net, and won the point with an improvised half-volley. A forehand winner down the line on the next point broke Gasquet’s serve, and punctured his fragile confidence. From then on Federer was in control. There were some great points, and plenty of occasions when Gasquet got the better of them. But he was having to work so hard to hold serve, and he never had a single break point. He plays essentially the same game as Federer, but Federer does it so much better. Federer won the first set in 44 minutes and broke twice in the second. Early in the third Gasquet twice had 15-30 on the Federer serve, but Federer just went up a level to snuff out the danger. And then he twice broke Gasquet to win 6-4, 6-2, 6-2 in an hour and 53 minutes. The end showed what it meant to Federer. At 5-2 40-0 he served down the middle, followed it up with a drop shot that Gasquet didn’t get near, and collapsed in triumph onto his tummy in the red dirt. It was also a relief for the French, particularly for the crowd who could finally allow themselves to celebrate with the great man who speaks their language, and his teammate Wawrinka who also has a high profile in France. Federer wouldn’t say whether he will play Davis Cup next year. He needs to play one more weekend in 2015 or 16 to be allowed to play in the Rio Olympics, but it will be a case of a weekend with his mates rather than a strategic assault on winning the cup. As the Swiss celebrated with Dwight Davis’s silver salad bowl, one man to get himself into the photos was René Stammbach, the president of the Swiss Tennis Association. He is one of the front-runners to succeed Francesco Ricci-Bitti as president of the International Tennis Federation next year. That may be how Switzerland exercises its influence on world tennis once Federer and Wawrinka hang up their rackets in a couple of years’ time. Gasquet can’t raise his level in doubles. LILLE, FRANCE — The Roger Federer magic finally emerged on the second day of the Davis Cup final, he and Stan Wawrinka taking the doubles to give Switzerland a 2-1 lead going into the final day. But while it keeps alive Federer’s dream of capturing the one top-level title he has never won, the architect of this victory was Wawrinka, who is rapidly becoming the Swiss hero this weekend. It’s been a mystery why Federer and Wawrinka have had such a poor record in Davis Cup since winning Olympic doubles gold in Beijing six years ago. When they lost to Golubev-Nedovyesov of Kazakhstan in April’s quarter-finals, they looked as shaky as a scratch pairing. But both brought missing pieces to today’s party – Federer brought the volleys he has honed in recent months with more forays to the net in his singles, while Wawrinka brought the overt confidence he developed during the ATP Finals in London and that clearly has not been shaken by his heartbreaking defeat to Federer a week ago. They have also been working this week with David McPherson, the Bryan brothers’ coach, who Switzerland’s captain Severin Lüthi brought in to help maximise the Swiss pair’s potential. The result was a superb display by the two men in red, one Federer described as “the best doubles Stan and I have ever played”. While Federer picked up the low volleys that would beat most people and swooped like a gazelle for some high backhand volley interceptions, Wawrinka provided the raw aggression from the back of the court. For two sets the French pair of Julien Benneteau and Richard Gasquet stuck with them, but once Gasquet was broken in the 11th game of the second set, the French spirit seemed broken, and the Swiss bludgeoned their way to a 6-3, 7-5, 6-2 victory in two hours 10 minutes. daily L’Equipe even announced on its website that Tsonga would replace Benneteau. But he didn’t. Benneteau played, and Tsonga didn’t turn up on the French bench until late in the second set. That has left question marks hanging over who will play singles against Federer in Sunday’s first reverse singles. After Tsonga’s pallid showing against Wawrinka on Friday, if he has a problem – whether to do with confidence or health – he could be cannon fodder. France’s other options are Benneteau or Gasquet, but Gasquet was picked on mercilessly by the Swiss in the doubles so his confidence won’t be high, while Benneteau had to have treatment on a thigh or lower back problem late in the third set. It does not look good for France. The French pair pulled up the drawbridge when asked about Tsonga’s health. 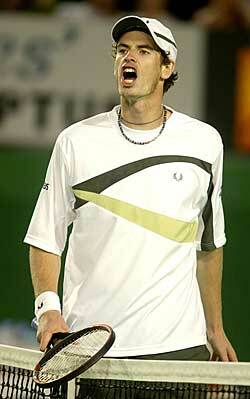 ‘We always expected to play the doubles,’ Benneteau said. He also denied rumours that Tsonga has a wrist problem, and said the only reason Tsonga practised with Gasquet on Saturday morning was that it fitted the time at which each player wanted to hit. Believe it if you will. Although Benneteau and Gasquet have played together several times and won an Olympic bronze medal in 2012, Gasquet’s refusal to play in the deuce court meant Benneteau had to take that role. Benneteau has done that in the past, notably partnering Michaël Llodra, but he has played the past season in the advantage court partnering Edouard Roger-Vasselin. And if you break the match down, the French were undone by their inability to return well enough. Federer served first, to send the signal that he wasn’t having to tread carefully with his back, but Wawrinka was the dominant player in the first set. He ran Nadal-like back to the baseline after the coin toss, he pummelled his returns, and he did most of the talking. It was like the younger brother finally losing his awe of the illustrious big brother. The match was of very high quality. All four players came in behind every serve, there were some acrobatic volleys, which produced scintillating rallies. It was in many ways the ultimate in doubles and illustrates one of the unheralded jewels Davis Cup can often produce. If the French were to make any headway they had to take control in the second set. They had a break point on a shaky Federer service game, they then had two break points in each of Wawrinka’s next two service games, while holding their own serve with ease. But by the time the Swiss had levelled at 4-4, the French were 0-5 on break points, and it cost them. They survived two break points at 4-4, but at 5-5 Wawrinka’s aggressive returning opened up an opportunity the Swiss were determined to take, and minutes later the visitors were 2-0 up. After that it was all Switzerland, and at one point in the third set Federer and Wawrinka were both left with broad smiles after winning a glorious rally. By then they were unstoppable – Gasquet saved two break points at 1-1 after leading 40-0, but that proved the last game the French won, as the Swiss reeled off the last four games to seal a deserved victory. If it is, there looks to be only one winner. The last of the great Davis Cup finals? Will the rift blamed on Mirka Federer hinder Switzerland’s chances? Christmas has come early for the International Tennis Federation. No, make that 10 Christmases have come at once for the ITF, the owner and administrator of the Davis Cup. In fact not since the Davis Cup celebrated its centenary 15 years ago has it had such a fillip as this weekend’s final. Whatever the health of the Davis Cup – and it has a mixed diagnosis depending who you’re talking to and which country you’re in – there’s no doubt it’s vital to the health of tennis’s primary governing body. An estimated 50 per cent of the ITF’s running costs come from Davis Cup profits, of which the sponsorship by the Paris-based international bank BNP Paribas accounts for a sizeable share. That dependence has left the ITF vulnerable to criticism that it refuses to countenance changes in the Davis Cup’s format for fear of threatening its own income stream, criticism that is not always fair. Davis Cup’s current structure is aimed at growing the sport in the lower leagues and not just focusing on the 16-nation World Group. But there’s no question that the Davis Cup has suffered the problem in recent years of too many people saying it has a problem. So, to have a weekend in which the eyes of the world are on the final and a piece of genuinely interesting history is set to be made, is manna from heaven for the beleaguered federation. The reason this year’s final is so big is all to do with one man: Roger Federer. The Swiss has won 17 majors, Olympic gold and silver medals, most of the Masters-1000 tournaments and plenty of other accolades. Only one historically meaningful title has still to elude him, the Davis Cup. The reasons for this are many and varied, and include the self-inflicted. In the semi-finals of the 2003 competition, Federer led Lleyton Hewitt by two sets and 5-3 in the Rod Laver Arena, only for the indefatigable Aussie bounce back to win in five. That seemed to break Federer’s spirit, partly because he came so close and lost, but also because even if he’d won, the chances are Switzerland would still have lost because it didn’t have a second singles player. (The fifth rubber would have been Mark Philippoussis against Michel Kratochvil). In fact the pattern was establishing itself that if Federer didn’t win two singles and the doubles, Switzerland’s chances were almost hopeless. He played again in 2004, but when France’s Nicolas Escudé and Michael Llodra beat Federer and Yves Allegro in the doubles, the same syndrome set in: Escudé’s straight sets win over Kratochvil giving France the win in the fifth. After that, Federer decided that his measured build-up to the frantic French-Wimbledon-US swing was more important than going somewhere exotic for the Davis Cup first-round. Even when Switzerland developed a second player in Stan Wawrinka, who made it to the top 10 in mid-2008, Federer still didn’t play a first-round tie, and despite Wawrinka’s best and most loyal efforts, Switzerland couldn’t win without him. Federer often played the play-off round in September after the majors were over, but that was largely to keep Switzerland in the World Group (and keep open Federer’s eligibility for the Olympics, which was important to him). Only in 2012 did he agree to play in the first round, but it all went badly wrong. The Swiss used home advantage to lay a clay court in Fribourg for the visit of the USA. The bumpy court was a leveller, and with Mardy Fish beating Wawrinka in five and John Isner beating Federer in four on the opening day. Then the Swiss team splintered in internecine acrimony, Wawrinka not even showing for the final day because he was offended by Federer’s comments. But this year it has been different. Federer committed to the first round, he won the decisive fifth point for Switzerland in the quarter-finals against Kazakhstan, and from there there was no turning back. Now he and Wawrinka face the French in Lille, a French city that ought to be too small for the final, but which halfway between London and Paris on a high-speed rail line, and which has a new soccer stadium whose grass can be folded in half to leave space for a 27,000-seater makeshift tennis arena. In truth, Federer had recognised the damage done during the match, got together with Wawrinka before anyone had too long to stew (which explains why both players were so late coming to their press conferences) and cleared the air. They have been visibly harmonious in Lille this week, and Federer’s back seems to have benefited from the involuntary rest he gave it on Sunday. So all is set for Wawrinka to help Federer win the one title to elude him, and for Federer to help Wawrinka win the title that means most to him and that he has so often fought for in a vain single-handed attempt. Both have to be fit – while France’s captain Arnaud Clément has an embarrassment of riches to choose from, Switzerland’s third player Marco Chiudinelli (a boyhood friend of Federer’s from Basel) is only just ranked inside the top 200. Chiudinelli may play in the doubles, but only if the Swiss strategy is to seek victory through wins in three of the four singles. With the ITF due to choose a new president next year to end Francesco Ricci-Bitti’s 16-year reign, the Davis Cup could be about to change, either cosmetically or drastically. This might therefore prove to be the last great final. That is … if Assuming Federer and Wawrinka stay fit. 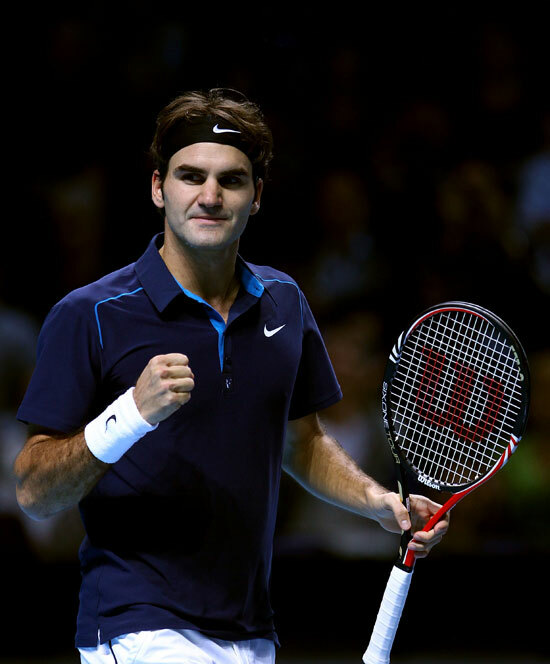 Federer looks beyond London to Davis Cup final. LONDON – Roger Federer pulled through an historic event when he fought off fourth matches and overcame his friend, Stan Wawrinka, 4‑6, 7‑5, 7‑6 in the semis on ATP World Tour Finals Saturday. But by the time he woke up, he was way too sore and, although he tried, he couldn’t loosen it up and give it a go. The Swiss couldn’t walk on the court against Novak Djokovic in the final on Sunday and compete. The world No. 1 Djokovic walks away with another title. Once again, he advances himself as a legend of the fall season. Federer did not want to risk it because next week the Swiss will face France away in the Davis Cup final. Perhaps he would have played in London on Sunday. But given that Djokovic had played excellent this week, he would have had at least being able to compete say at 80 percent. Against the Serbian who was ready to rumble, he didn’t have much of a chance. But No. 2 Federer wanted a real chance, as the 33-year-old does is still aiming to reach No. 1 someday for the last time. But, today, he decided not risk it. Federer may not say it, but the Davis Cup final in gigantic for him. The Swiss have never won the Davis Cup, and given knowing exactly what will occur during the entire season, that is very difficult to predicut who is healthy and who is hurt. If you are healthy and decided all year long to make Davis Cup a priority, then reaching the final is an important goal. This time around, the Swiss finally did. However, no one really knows whether Federer will be able to play at all. But what we do know is that he will try to get healthy by Friday in Lille and hope that he can stand up, run around and out-think the assumed foe of Gael Monfils on clay. France’s Monfils runs like the wind, but he is 2-8 against Federer and the Swiss has taken him down three times at Roland Garros. While Monfils pushed Federer to a fifth set in the US Open quarters – which the Swiss won – with Federer physically hurt, you may has well throw out the window. Federer might be able to play for three hours and win, but he it is highly unlikely to play in Saturday for doubles. Perhaps he will be OK with a day’s rest and compete on Sunday, assuming that he or Wawrinka (who will face Jo Tsonga on Friday) or Swiss to have won at least a tie going into the final. Who knows, Federer could win two matches in Lille and celebrate one of the last pieces to his incredible resume. Or hurt his back hurt again and pulled out. If Federer can’t play next weekend, you may as well give the trophy to France. Djokovic reaches ATP Finals final against Fed. LONDON – Novak Djokovic loves indoors, perhaps because when he was a little kid he went up into the mountains and exercised long and hard. He raced down the snow, and let us forget, he could strike tennis balls, even if he was freezing. The Serbian will win outdoors, but on a streak, he is even better indoors. This week in London, it wasn’t very cold or wet. In fact, in the middle of November, it’s been positively respectable, rubbing your hands to keep them dry, and loosing up your fingers and squeezing them oh-so-tight. In Saturday, Djokovic beat Kei Nishikori 6-1, 3-6, 6-0 to advance to the final. Djokovic has now won 31 matches indoors, which is pretty fair considering that the man isn’t super tall, or a huge server that will goes for ace after ace. No, that is not it. He is willing to play super-fast courts or slow ones. He can kiss the lines on his first serve, jump inside the baselines with his forehand and backhands, or retrieve falling back. He’s got that type of diverse skills.The No.1 makes it on his terms. Nishikori stunned Djokovic in the semis of the US Open, but this time around, he said that he wouldn’t miss. He wouldn’t go to crazy early, and wouldn’t be too passive. Djokovic started the match very well as he knows both of them are both extremely fast. Still, both have to put plant on their feet. He was pretty predictable with his backhand crosscourt, which allowed Djokovic to sleight down the line. The 25-year-old Nishikori looked unsure of himself and there was no way he had a real chance if he could not get early but lost the first set 6-1. In the second, US Open finalist got it together, leapt around, took his chances and finally grabbed a break. When Djokovic rushed the net, Nishikori went backwards. The Serbian could only nudge an overhead and the Japanese wailed a forehand winner. He broke at 5-3 and held to grab the set 6-3. It looked like they were going to have an excellent contest in the third. But, no … Nishikori folded, oh so quickly. The younger kid had a huge shot at breaking in the first game of the third set, with Djokovic serving at 15-40. He had a two big chances but he couldn’t deliver: he missed a forehand and then his backhand under-cooked. Djokovic took a deep breath and then ran over him, 6-0 in the third. Nishikori had a chance to finish the year ranked No. 4, but will stay No. 5. He has had a very good year, but he is not ready to break into the top 4 yet. Djokovic was apparently upset that a few of the fans nearby were yelling for Nishikori and he lost his head for a little while. He regained his composure and raced ahead to win the contest, but when he finished he wrote on a camera lens that he stuck it to them. This was indoors and Djokovic wants to be the top dog all the time, even after a win. On to the semis for Nishikori. LONDON — Milos Raonic was gone even before he started on Thursday, when the Canadian pulled out with a quad injury against Kei Nishikori. Even though Raonic was played very tight against the two younger guys, he knew that Raonic was a bit hurt so maybe he could run into the court him and run him around very quickly. But he has to face David Ferrer instead, who was in a sub, and while the Spaniard had no chance at moving into the semis, he fought anyway, even if he had not played extremely well this year. Nishikori was 1-1, taking out Andy Murray and losing to Roger Federer. He had a good chance reaching the final based on his two victories in the round robin, losing only two Federer. He has playing very well and seemingly not thinking about a faceoff with the likes of Djokovic and the Swiss. The 25-year-old has been the youngest singles player at the ATP Finals this season, not only because he reached the US Open final, but because he knocked off a number of fine players. One was the former No. 4 Ferrer, who he beat him on three occasions and all three sets in Masters Series events: 7-6(9) in Miami; 6-3 in Madrid; and 6-4 in Paris, just two weeks ago. Nishikori is about as fast as any player, and while he was running and hitting the corners as hard as he could, Ferrer was very good overall and jumping on top of his forehands. Both men can go either which way, but the Japanese is more creative when it comes to his backhand. Ferrer likes to grind out points, but he decided to counterpunch his foe on Thursday. So when Nishikori was banging away, the Spaniard looked calmer and it showed as he kissed his lines and won the set 6-4. But Nishikori regrouped and he began to charge. He set up inside the baseline, cleaned up his backhands and served with more speed. He decided that — win or lose — he was going to swing as hard as he could. He did and after he won the second set 6-4. From that point, he was flying. He won the match 4-6, 6-4, 6-1, dancing with a big grin. Now Nishikori will play on Saturday against Novak Djokovic, who destroyed Tomas Berdych 6-2, 6-2 and clinched the yearend No. 1 for the third time in four years. 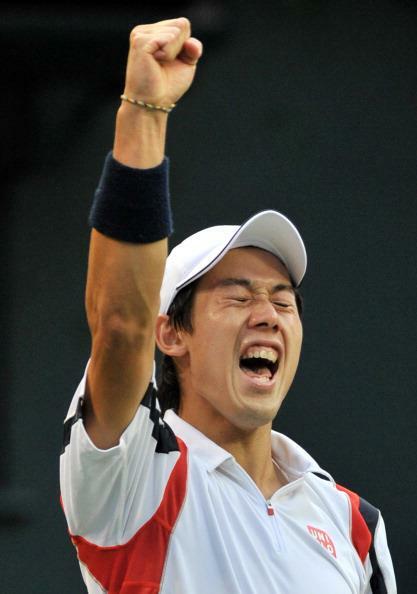 Nishikori has said that someday he would like to reach No. 1 someday, but he is a long way off. Still, if he can whip Djokovic, then we will begin to discuss 2015. What does Murray do after Federer’s demolition? LONDON – Everyone can have bad days. Every person has experienced one or another. But if you look at the greats in tennis, all of them have admitted that they had a lousy match and learned from it. Or forgot about it. Or just threw it in the trash. But exactly what will happen to Andy Murray mindset after he went down 6-0, 6-1 to Roger Federer on Thursday in a packed house? Everyone wanted to see their countryman win. He was back and ready to knock down the other best players? But he was not even close. He wasn’t in the ballpark or, in this case, The O2. Murray has been unable to beat the big guys again. Yes, he has played well enough to beat anyone outside of the Big 4 and he looked pretty well during the fall. He scratched up to No. 5, largely because he outworked David Ferrer in October and early November. But against Novak Djokovic, Rafael Nadal and Federer during the season, that was another story this year. Murray entered the ATP Finals knowing that he had gone 0-8 of the three guys this year. That hurt, but a chance to taking down Federer and Djokovic, and that would have made the season. Somehow he went all wrong and quickly. Murray whacked the ball in the first four points, but after that, he could not find his rhythm. He was never there. Federer played very well, but he never had to play great, even though it seemed he couldn’t miss his forehands, backhands, slices, rushing into the net, digging in, smashing, and pocketing balls deep. It did not really matter because Murray couldn’t get anything going. It was impossible to tell what his plans were, because he did not have anything at all. He was so out of it that the fans were shaking and were afraid. Down 6-0, 5-0, somehow Federer made a couple of errors and Murray won a game. One single game to 6-0, 6-1. The fans cheered and laughed. Andy didn’t smile for a second. Federer found it odd, shook his hand and did not to celebrate 6-0, 6-1. So much for classic contests. Murray admitted that he did not play well at all – obviously – and that Federer was quite good. But what has his show for it this season? He won three tournaments, which is fine, but they were not Slams or ATP Masters Series. At a few times in 2014 he looked as though he would return to his normal self. But, as he said, it has been very hard to come back easily after his back surgery. “The first three, four months were tough,” he said. “It was hard. Going through surgery isn’t easy. Maybe I didn’t appreciate that so much at the time. I found it quite frustrating at the beginning of the year. But then once I accepted that it’s a hard thing to go through, and obviously in the middle of that period I switched ‑‑ obviously stopped working with Ivan [Lendl]. “The French Open [Rafa Nadal] and Wimbledon [Grigor Dimitrov], I played well, but when I got to the semis of the French and the quarters of Wimbledon, I didn’t feel like I played well. Murray is hearted of the fall as he did win Shenzhen (over Tommy Robredo), Vienne (over David Ferrer) and Valencia (over Robredo), but if he is going to have any chance in Australia, he is going to have to change it up. If Murray wants to remain his “Big 4,” he is going to have to start beating them on occasion, especially as the younger players like Kei Nishikori and and Milos Raonic become more formidable foes. Right now, he has to figure out exactly why and what will his answers be. At the very least, he has to work harder than before. LONDON – Marin Cilic completely changed after he won his first Slam at the US Open. The Croatian has not been played extremely well during the fall and, even though he has made it into the ATP World Tour Finals, the world No. 9 needs to show that if he ever wants to be No.1, he has to be very consistent. Take a look at Cilic on Monday in Group A when he faced Novak Djokovic. He was blasted, knocked out 6-1, 6-1. He was not even close and, while he has said that he is hurt a bit, he has enough of a rest to be striking the ball and believing that he could disturb the Serb. But Djokovic was so much faster that evening that Cilic looked lost. That is because the younger generation of top players can be excellent at times, but they have yet to prove that they can rise to the level of truly superior players. So even though the US Open winner Cilic and the finalist Kei Nishikori opened up our eyes when they stunned Roger Federer and Djokovic in the semis, they have yet to show that can beat the “Big 4” – the 18-time Slams champ Federer, 14-time champ Rafael Nadal, seven-time Djokovic and two-time victor Andy Murray – on a consistent basis. If you look at the Big 4 and how well they have been year after year, they have been pretty darn good day after day. They have won Slams, ATP Masters Series, ATP 500s and even 250s. They went everywhere; they wanted to go and win time after time. But Cilic has not done yet and maybe he never well. He does have a huge first serve, can rip off both his forehands and backhands and is pretty good when he attacks on the net, but he mentally goes in and out. That is why the 26-year-old has won 13 titles, and other than the US Open, he has only won ATP 250 tournaments. He has never even reached a final of the Masters. Look at the 27-year-old Murray, who is loved in London, even though he has not won as much as Fed, Rafa and Novak. But Murray has been very, very good and way much better than Cilic: Murray holds 31 titles, including two Slams, Olympic gold and nine ATP World Tours Masters. So while Cilic has played much better this year, winning four titles and scoring over wins like Tomas Berdych, Federer and Nishikori – he should have entered London this week prepared to rack up significant victories. But it appears that he is already gone, even though he has a small chance of reaching the semifinal. 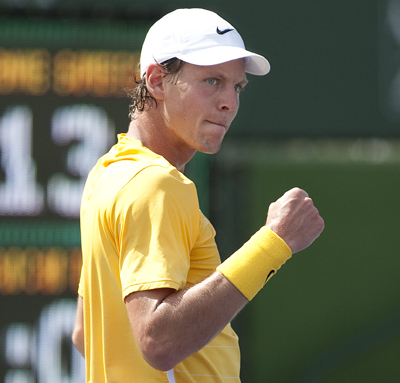 On Wednesday, Berdych played fairly well and smoked Cilic 6-3, 6-1. Cilic only managed to hit 11 winners, but suffered 30 unforced errors. The 6-foot-5 big guy only managed three aces. 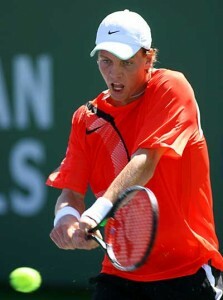 Berdych didn’t look well at all when he quickly lost to Stan Wawrinka on Monday. He recomposed and kept landing his shot deep and into the corners. The Czech outhit him by whipping his forehands, and he was able to guess which way Cilic was going with his heavy serves and popped them back the other way. Once Berdych began rallies, he was not going to be impatient, while he was dared Cilic to be accurate. The Croatian could not keep his balls in the court. He walked away quietly. Now he says that he is hurting but wants to be there anyway. At least he is being honest, which is good. He may not make it in the semis, but says that regardless of what happens this week, he says that he is still thinking about how “amazing” he was in winning the US Open. Perhaps he can pull off another Slam at the 2015 Australian Open. Perhaps. “It’s a little bit disappointing to play like this,” he said. “I was not expecting it. But sort of I feel a little bit tired, and body feels a little bit tired on the court. “It seems that the things that I’m doing that are all basically going in a wrong direction. Especially with these guys at this kind of level, even small mistakes, or if you’re not at your best performances, the outcome is not going to be going in your favor.